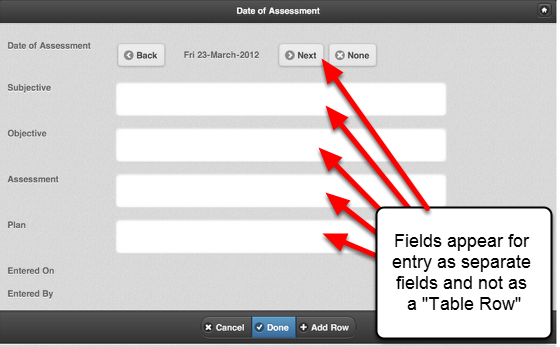 Tables do not appear with other fields in a Table view like on the main software. In the iPad and iPhone software Tables appear in their own separate sections. 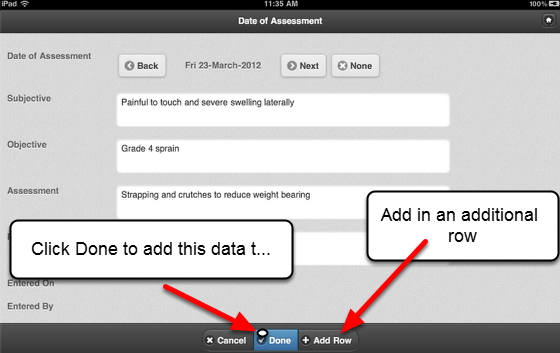 Any Rows that have been entered appear across one line and you can enter in additional rows if/when required. 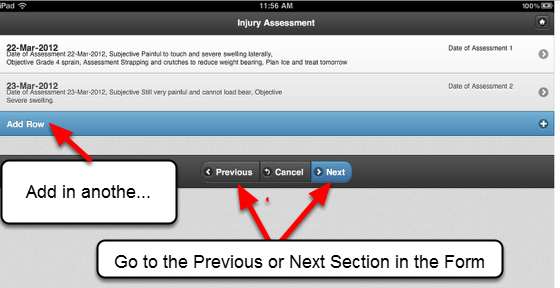 Click Next or Previous to go to the next Section or previous Section, respectively. Next: Databases are now available. How to enter in a database field into an Event Form.